Like tea and weed? Well, we’ve got a treat for you. Weed stem tea is something you should know about, especially if you’re looking for something to do with your weed stems. Whether you’re a seasoned cannabis user or seeking a healthier way to relax, there are endless reasons why you should learn more about stem tea. Does it get me high like other edibles? What’s the process of making weed tea? Are there really any benefits? Chill! We’ve created this blog post so that you can learn all about what it is and the effects and benefits. And, we’ve even given you a recipe to follow to make your own home brew. Let’s step and sip people! 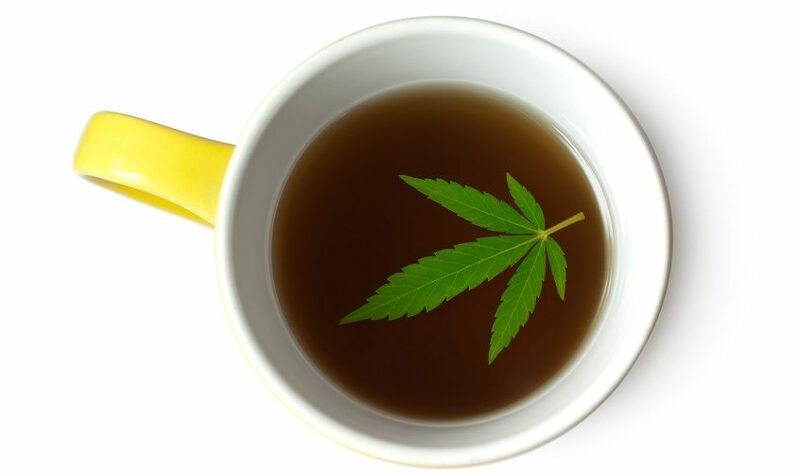 Weed stem tea, like any weed tea, is an ancient and highly effective traditional medicine for multiple purposes in many cultures around the world. As one of the oldest medicines, this form of cannabis consumption supposedly started with the mythical Chinese sage emperor Shennong, 5,000 years ago. Aside from ancient mythical history, let’s get down to the chemistry fundamentals of weed stem tea! THC and CBD can be dissolved without losing any effects and medicinal qualities in the butter or milk used in weed stem tea. Once you intuitively learn how to make weed stem tea, you will get to make it as potent or mild as you like! Weed stem tea will give you “11 Hydroxy THC” body stimulation like you would from edibles! Before you start gulping cups, what exactly are the effects? Marijuana stem teas range between 30-90 minutes for you to feel the full impact. Of course, this depends on your weight and metabolism, but it is advisable for first time users to be in a safe and familiar space when they consume tea for the first time, just to gauge how it hits them. Once the tea has been consumed and the effects hit the body, users may feel the impact of the tea from 4-8 hours after consumption. 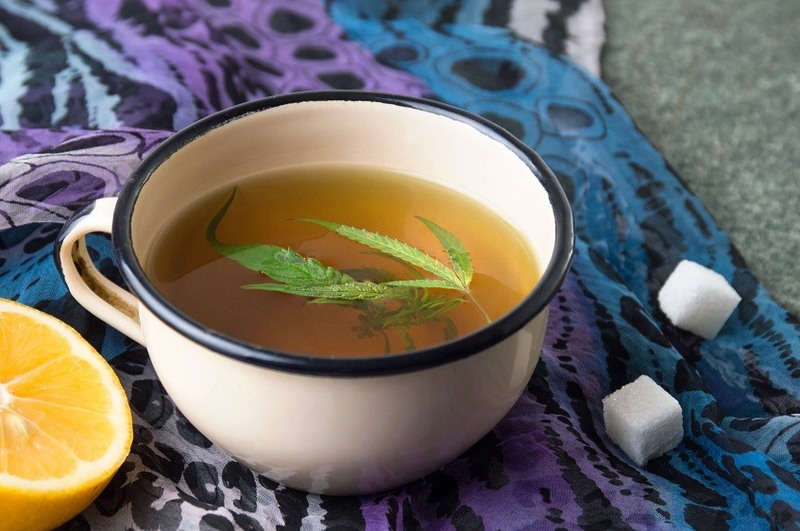 Considering that the tea is broken down through the body’s digestion track, the long-lasting impact of weed stem tea is desired for people seeking to treat conditions like rheumatoid arthritis pain, nausea, or MS. It is important to note that weed tea can be made from the leaves, bud, and stem, each producing various ranges of THC in the tea. When made from stems, it still holds about 9.2% THC, enough to create a wonderful, relaxed sensation. 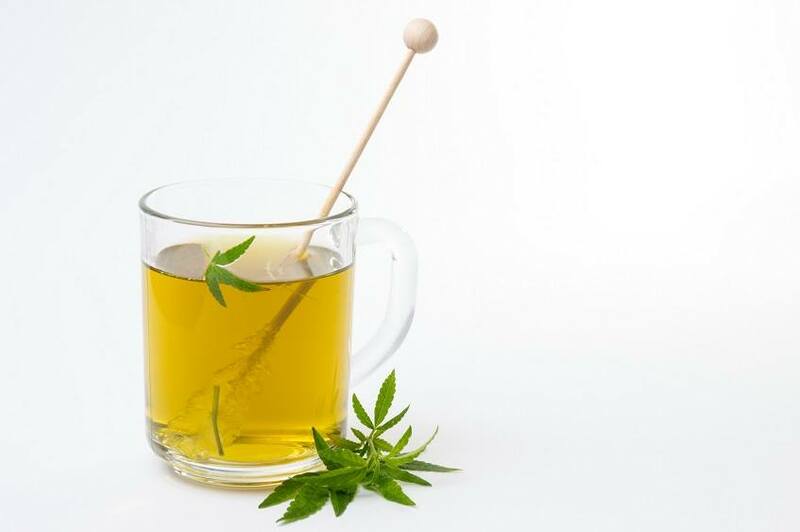 While THC is not water soluble, those using their stems to create tea report excellent effects when brewing their tea in something fatty (like milk or butter) or for thrill seekers, something with alcohol. As with anything, there are myths surrounding the effects of tea. Many report that you will find a high compared a psychotropic drug, but this is false since tea stems hold very little THC comparatively. Reports may also claim that this tea is tasteless or creates a bad taste overall, but since it can be infused with so many delectable ingredients, it can certainly be an enjoyable beverage during and after consumption. There are many benefits to choosing weed stem tea over any other form of using weed stems. Most importantly, stem tea is more tasteful and enjoyable, especially for tea lovers. The taste plays a huge role, because you get to choose what flavored tea you want to pair it with. One of the other benefits of using stem tea is that it’s a better alternative to smoking it. Some personal experiences have shown smoking stems can cause serious headaches. The added benefits are that stem tea is the fastest and more convenient way to use your weed stems. Choosing stem tea, you are choosing a healthy route to enjoying weed, unlike alcohol or oil. The process it takes to create alcohol and oil can be harmful and unhealthy for the body, unlike tea, which is proven to be healthy for the body, mind, and soul. For added benefits, you can brew your stem tea with green tea, matcha powder, honey, lemon, coconut oil, or cinnamon! To start off the weed stem tea process, you need to firstdecarboxylate the marijuana stems to fully activate the cannabinoids. A way you can enjoy the experience even more, is you can also use the stem butter recipe and add it to your tea. Once the stems are activated, you will then grind them into small particles, and make sure to avoid over-grinding them so they don’t become powder. The next step is to put your stems into a pot of your choice, add the water, and add a nice sized dollop of coconut oil or your favorite butter. Next, bring the pot up to a boil while it sits and simmers for the next ten to fifteen minutes. Pour the water through a fine strainer and squeeze all the liquid through when the pot is done simmering. Now take your stem infused water and pour it into your favorite tea. Now sit back and relax while enjoying a delicious stem infused brewed tea! There is no better way to choose a weed stem concoction than stem tea! You get to enjoy a nice cup of tea with an added plus to it. It’s not a good idea to waste any part of the marijuana plant when there are many ways to use the left-over particles. Stem tea, proving to be one of the most popular choices, is a fast and easy way to enjoy your weed stems. The effects may be mild compared to smoking the bud, but it is the perfect way to set your body and mind at ease!